All of our quality designer naming day candles can be personalised with the child's name, date of the ceremony and the church at which it was held. 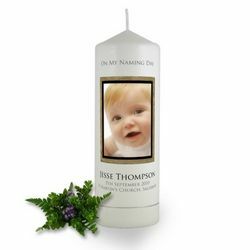 Create a wonderful keepsake today to cherish the memory of that special day. They also make idea thank you gifts for the godmother and godfather as well as the grandparents & relatives. 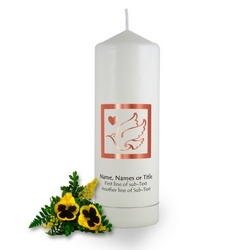 In many cultures, naming a child is one of the most important days of their long life ahead of them. Names are special; they give our children their identities. That’s why you should celebrate this day with the most stylish and valuable things around you. 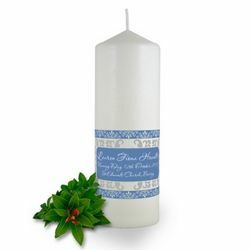 Brinley Williams Personalised Candles are unusual naming day gifts for a naming day are made to be the most outstanding centerpiece of this big day. 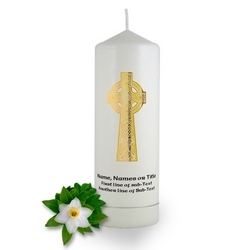 They are personalized with the child’s name, date of the ceremony and the church where it was held. 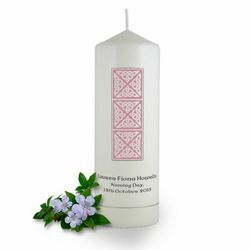 Imagine getting the best of candles at the most reasonable price! 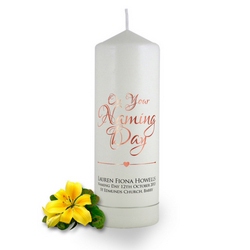 We are proud to offer you quality in the range of many types of different naming day designs that are sure to meet your specific needs. 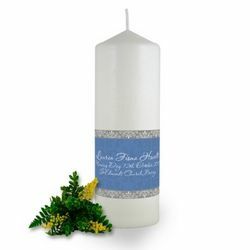 The types of candles we offer are beautiful and befitting of the occasion. We have general designs and those that are tailored to either girls or boys. 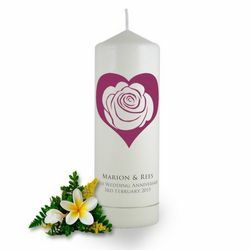 All our candles go through a special crafting process that will ensure they last a lifetime as a keepsake of your special occasion. 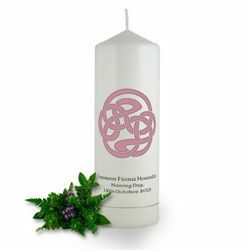 Our selection includes Celtic cross, Holy Cross to Dove Heart candle designs. 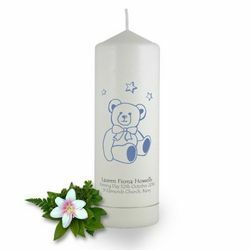 Enjoy the wonderful opportunity to officially welcome your child into a loving circle of family and friends while surrounded with the best candles. They serve as a perfect gift or keepsake from a child to a godparent or guardian to show how much importance they are to their child’s life.